Ephemeral Void | gURROO - A new generation of innovative minds. The Internet has provided the world with a virtual web where users can exchange information; we could speak of it as a “virtual context”. This virtual context is an ephemeral space, where information is sent, delivered and received; it is not contained within physical boundaries. The project stems from an attempt to link a virtual context, characteristic of the 21st century, with the built environment in order to improve the life quality of users living within an urban context. There are two main stakeholders, one of them being the site: the Zócalo, Mexico City’s most important public space and it’s main square, located in the city’s downtown district; and the other being the virtual context: a holographic projector is used to create three-dimensional images that can be seen in broad daylight. 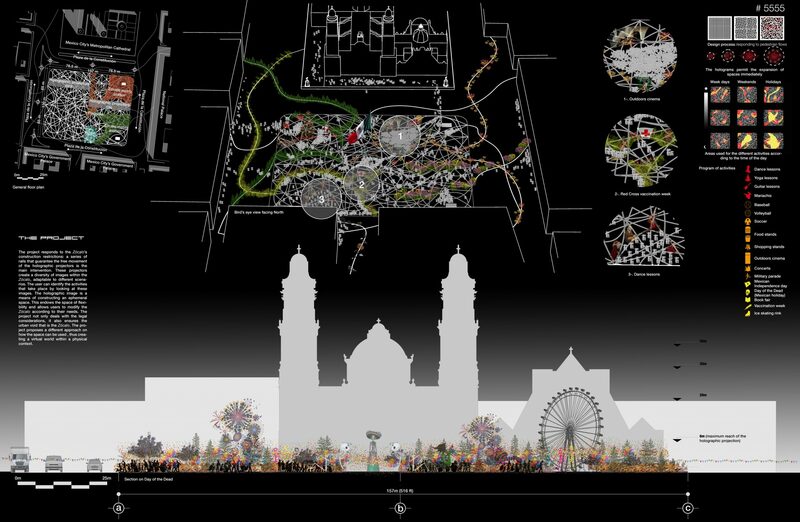 The legal framework does not permit permanent construction on the Zócalo, for it would compromise the urban void within the morphology of Mexico City’s downtown district. 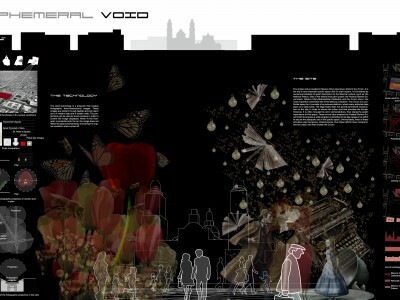 The project consists of building ephemeral spaces to deal with the many activities that take place in this site. Users can control the content of the holographic projections. 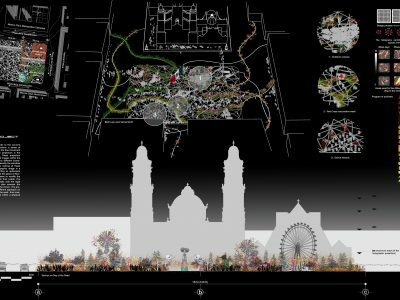 The project is set to transform the Zócalo into a flexible space, where a wide range of images can be projected during different periods of time. The projections provide the void with ephemeral constructions, thus the space can change in just seconds by turning on the holographic projectors and it can adapt to the vast program of activities that take place on a daily basis. Architecture becomes part of the virtual context but is set in a built environment. 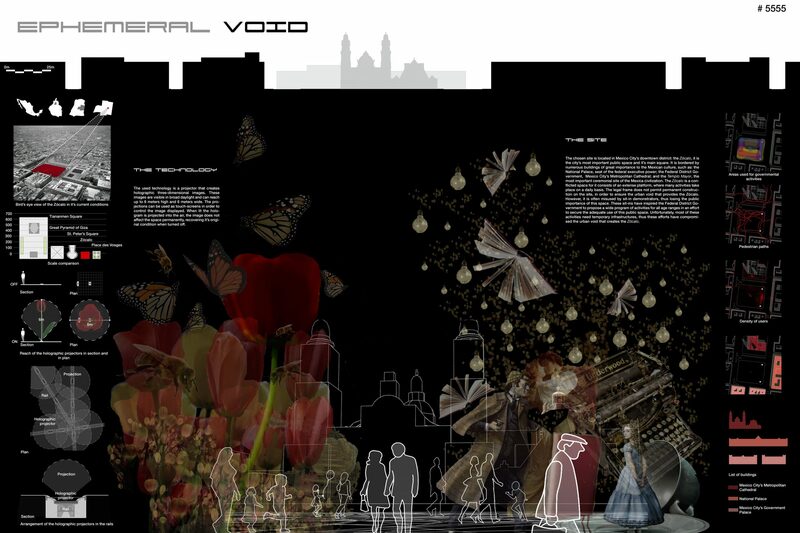 In this specific case the chosen site was the Zócalo, however it is envisioned that the use of the holographic projectors will reach different scales, solving issues in the built environment by means of a virtual ephemeral construction.